We all like to get our money’s worth when we buy something from a store or go out to eat at a restaurant. But how about getting your calories worth from your food? 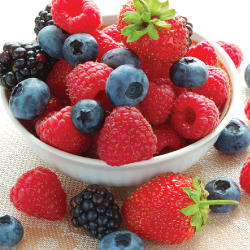 Berries are the superstar of making the most of your calories. Berries are low in calories but high in nutrients and are sweet and delicious; almost like dessert. Berries are in their peak season during summer, but thanks to your local grocery store they can be enjoyed all year long. Cool with Blue: At only 57 calories a cup, blueberries give you serious power and taste without the high calorie price. Blueberries have extremely high levels of antioxidants (such as vitamin C), as well as folate, magnesium, and fiber. They also contain a high amount of potassium. Blueberries can lower you risk of heart disease as well as act as an anti-inflammatory. Instead of handing kids a pack of candy when they are hungry, try giving them blueberries. Want to take it up a notch? Eat them with yogurt or nuts. Black Attack: Blackberries in the summer are sweet and delicious and only 43 calories per cup. Yes you read correctly, 43 calories. That one cup contains 5 grams of fiber and lots of antioxidants. Ever wondered why they are so dark? That’s due to the anthocyanins they contain. Anthocyanins are a powerful phytonutrient that can help prevent cancer. Put down that donut you grabbed for breakfast and try a bowl of blackberries. Want to take it up a notch? Throw them on top of oatmeal. The Power Berry: Who doesn’t love strawberries? With their juicy and delicious taste it’s easy to see why strawberries are the most popular berry and one of the most popular fruit varieties in the United States. In a one cup serving, strawberries tout only 50 calories and 85 milligrams of vitamin C. These power berries can help to improve blood levels and are a great source of potassium. Need a pre workout snack? Skip the high-calorie bar and enjoy a whole bowl of strawberries. Want to take it up a notch? Eat them with cottage cheese. We know that saving is important. What family doesn’t want to stretch their budget a little further? To help you do just that, we’ve created Price Lock. 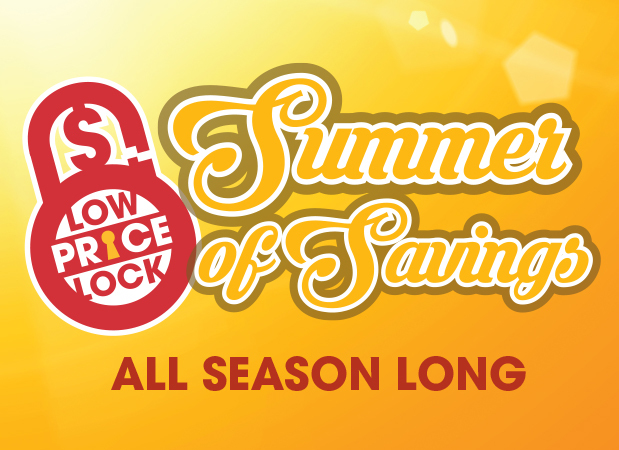 Items are selected each season and locked in at a low price for eight weeks. These items are selected based on the items you would buy most during that season. Prices are changed out for winter, spring, summer, fall and holiday. 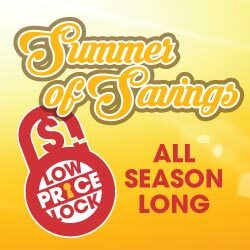 All Price Lock items are specially marked with signs. Cinco De Mayo is the perfect time for a fiesta! Here are 5 Ideas for the perfect party. Build Your Own Bar: Set up a taco, nacho or burrito bar with all the toppings and fixings and let people create their own masterpiece. Beans, cheese, avocados, corn, salsa, and sauces. The options are endless and your guests will love being able to build their own. 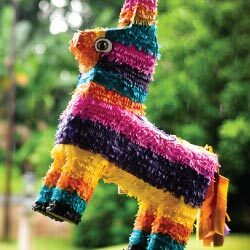 Set the Mood: Every good party needs the right decorations and a fiesta is no different. Bright colored streamers and balloons are simple and great decorations. If you want to go fancier, try flowers in bright colored jars or bottles. Kiddie Corner: If you’re inviting kids to your fiesta you will want to have things to keep them entertained. Try setting up a table with pictures and crayons for the kids to color or having a Piñata, the kids and adults will love it! To Go Goodies: Guests will love it if they get to take home a party favor. Homemade treats or small potted plants are popular favors. Get Dancin’: Clear a space, turn on some music and get your guests dancing. Dancing is fun for everyone and is a must at any fiesta. The first Earth Day started in 1970 after a Senator from Wisconsin, Gaylord Nelson, saw the damage done by a massive oil spill in Santa Barbara, California in 1969. Nelson worked with a group of individuals to rally 20 million people across the country on what became known as the first Earth Day. 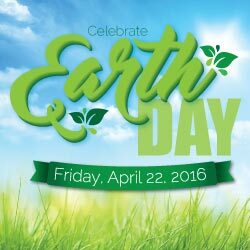 Earth Day is now honored by 184 different countries and is a wonderful opportunity to raise awareness about taking care of the earth we live on. We have come up with five awesome ways to celebrate Earth Day. Shop Local and Organic: Support stores and products that care about where their food comes from and how it is grown. Switch water bottles: Ditch those plastic water bottles and get yourself a permanent and refillable water bottle to use every day! Clean up a Park: Grab your friends and head out to your local park to pick up trash. Walk or Bike: Go green by walking or biking to school or work. It’s great for your health and the environment. Tropical fruits are a fan-favorite, yet they don’t always make it to our plates. Tropical fruits can be hard to find due to the majority being grown outside the continental United States. Lucky for us, grocery stores do a great job keeping their produce department stocked with fresh and delicious tropical fruit. 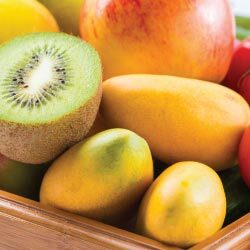 However, when buying some tropical fruits you should know what you’re looking for to avoid getting fruit that isn’t fresh, ripe and ready to eat. When choosing kiwi, look for plump and unwrinkled fruit, either firm or slightly yielding. Kiwifruit is fully ripe when it is yielding to the touch but not soft. Firm kiwifruit can be ripened at home in a few days by leaving it at room temperature. Avoid fruit that is starting to shrivel or is seems too soft. A watermarked exterior is common on kiwi and does not affect taste so don’t worry about that. Did you know? Kiwis are more than 7000 years old. Try it: Get Saucy! Kiwis are the perfect pairing to any dessert. Try making a kiwi sauce and serving on top of cheesecake, tarts, ice cream and more! Pineapple are one of the best tropical fruits to get year round. When selecting a pineapple find one that has fresh, green leaves and looks plumb in the body. The body of the pineapple should be firm but not soft. Smell the pineapple to check for ripeness, a sweet scent is the most important aspect of choosing a ripe pineapple. If it has no scent, it’s not ripe. Heavier pineapples tend to be juicier. Did you know? It takes almost 3 years for a single pineapple to reach maturation. 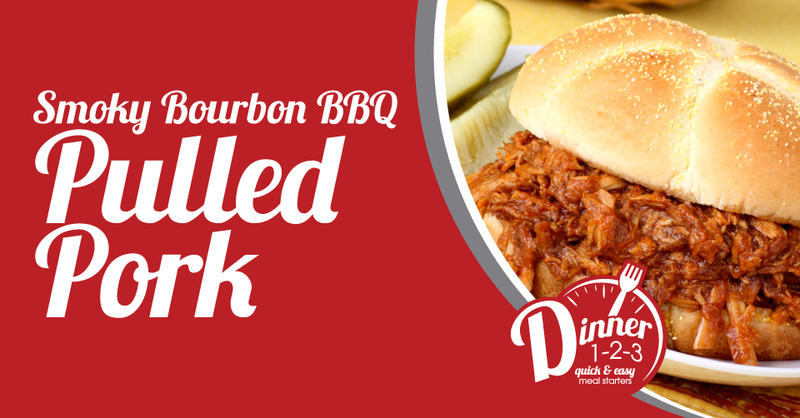 Try it: Grill it! Grilled pineapple is delicious and easy. Peel and slice your pineapple into long strips and brush with butter and brown sugar for the perfect tropical treat. Mango are delicious when ripe but can be sour and hard if not fully ripened. When choosing a mango, don’t focus on color focus on squeezing the mango gently. A ripe mango will be slightly soft with some give but will not feel mush. Mangos should feel similar to a peach or avocado when ripe. Did you know? A mango tree can grow as tall as 100 feet? Try it: Blend it! Mango sweet flavor and smooth texture make if the perfect with any ingredients in a smoothie. 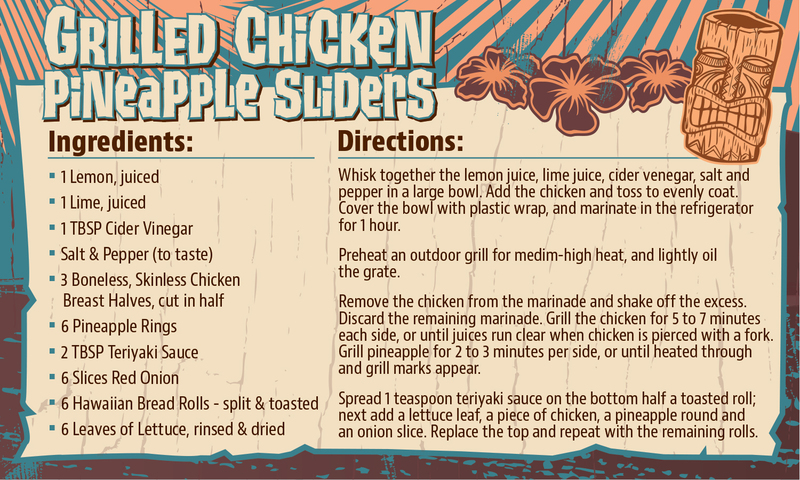 Escape To Paradise With Our Hawaiian Aisles Recipes! Does your dinner menu need a vacation? 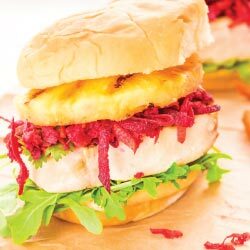 Try one of these delicious Hawaiian inspired recipes, your taste buds will thank you and so will your wallet. 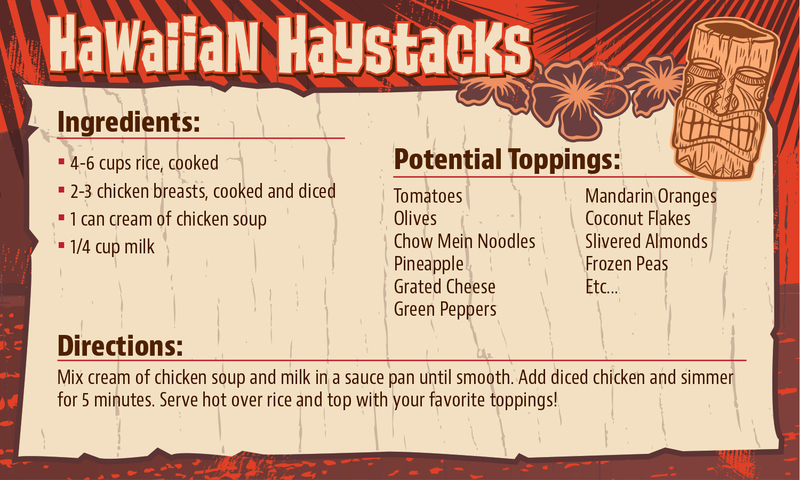 Lots of the ingredients are featured as part of our Hawaiian Aisles sale. Reser’s Fine Foods has issued a recall on several of their salads due to a possible Listeria Monocytogenes contamination in the onions used. If you have purchased any of the salads listed below with the matching “Use By” dates, please return them for a full refund. Spring means new beginnings. After a long winter our kitchens are in need of a taste lift. We’re here to rejuvenate a forever classic dessert; cheesecake. Creamy, soft and delicious, cheesecake is the perfect choice for almost any occasion, and spring and summer are the perfect time to brighten up your cheesecake repertoire with the ultimate topping guide. Salted Caramel: Caramel sauce, cashews and a sprinkle of sea salt. Need we say more? Berry Fulfilling: Blackberries, Raspberries, strawberries, any berries will do. Leave them whole and drizzle with honey or make a simple fruit sauce. Lemon Love: Lemon curd, lemon zest and fresh fruit of your choice combine to make a beautiful and refreshing treat. Banana Split: Hot fudge sauce, banana, nuts and a dollop of whip cream gives you the best of both worlds. Tropical dream: Macadamia nuts, toasted coconut and fresh mango or mango sauce. Can you say summer! Peppermint Twist: White chocolate sauce, peppermint candies and fresh mint. Calling all mint lovers. Apple Crumble: Fresh apple slices, candied pecans and caramel sauce. Cheesecake is the perfect canvas for creativity. 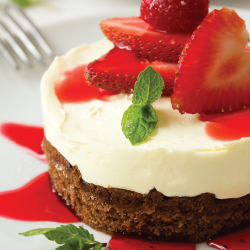 The possibilities are endless and the taste can be unforgettable when you master the art of cheesecake. Use our suggestions to get you started, but don’t be afraid to try your own creation. Are you planning your Easter and summer vacations? Let us help you save money and have fun! 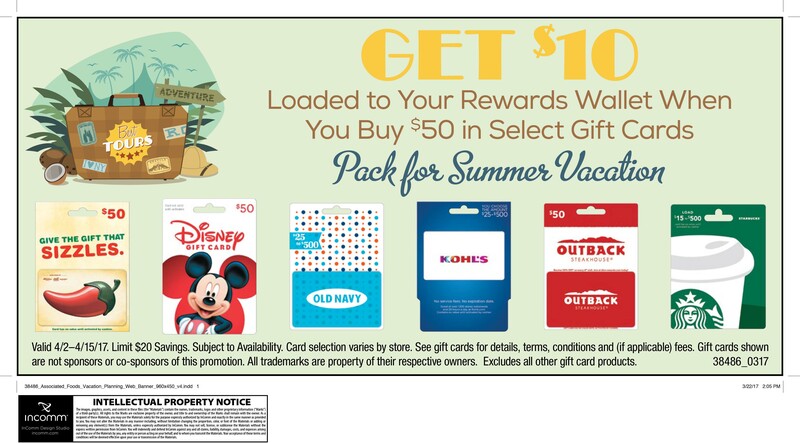 Now until April 15, receive a $10 wallet credit when you buy $50 worth of Chili’s, Disney, Old Navy, Kohl’s, Outback Steakhouse and/or Starbuck’s gift cards. * Hurry in today to grab these must-have gift cards! A quick dinner for a busy family. 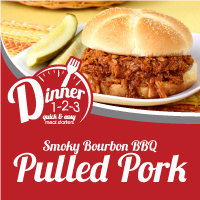 Your family will love this Smoky Bourbon BBQ Pulled Pork recipe from McCormick.